Drivers can expect brief closures on all lanes of north and southbound SH-10, up to 30 minutes at a time, in the Hanging Rock area in Cherokee County from 7 a.m. to 7 p.m. beginning Monday, Dec. 3 through late December for a right-of-way maintenance project. This is located about 12 miles north of the US-62 junction. Crews will be doing preventative maintenance, weather permitting, on the rocks and vegetation adjacent to the driving lanes. 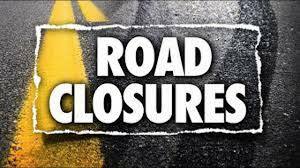 Traffic on SH-10 will be briefly stopped at various times for the safety of the crews and drivers in the area. Drivers should plan ahead for extra travel time in the corridor or seek an alternate route. The Oklahoma Department of Transportation will soon begin work near the I-40 interchange at U.S. 64 in Sallisaw. Construction will begin in January, according to Jamie Malmstrom, construction engineer for ODOT’s Division 1. The $42 million project stretches from 1.1 miles east of U.S. 59 and extends east on U.S. 64 at the I-40 interchange. It includes replacement of the I-40 bridges over the Kansas City Southern railroad and two creeks near the interchange. The project, overseen by Sherwood Construction, will address a total of four structurally deficient bridges. The Sequoyah County District Attorney’s office and the attorney for Angela Gray of Muldrow, who is accused of conspiracy, child endangerment by driving under the influence and selling or furnishing alcoholic beverage to a minor, are in negotiations for a plea deal, District Attorney Jack Thorp conformed Friday morning. Gary Buckles, the Poteau attorney who represents Gray in the case, said he had “No comment,” on Friday. A spokeswoman for Buckles said his office did not receive the offer until Friday morning, and at that time Buckles had not been able to discuss the offer with Gray. Gray is accused of participating in the ATV crash on Sept. 1, 2013, south of Muldrow which left Christian Mayberry, 16 at the time, with severe brain trauma. Gray and two juvenile boys, one of whom is her son, were accused of covering up the crash while Mayberry laid nearby without medical help. The trial on those earlier charges ended in a mistrial when the jury could not agree on a verdict. The different set of charges against Gray were filed on Aug. 31, 2015. Thorp said the plea agreement was acceptable to the Mayberry family, which also has a civil lawsuit filed in district court against Gray. That lawsuit remains unsettled. Thorp said earlier reports that Friday was the deadline for Gray to accept or reject the plea agreement were incorrect. He said there was no deadline. 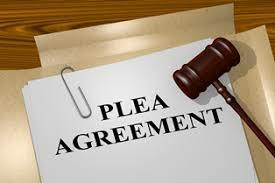 Court records show that a plea agreement hearing, not a trial, is set for 1:30 p.m. on Dec. 10 in district court before Judge Jeff Payton. 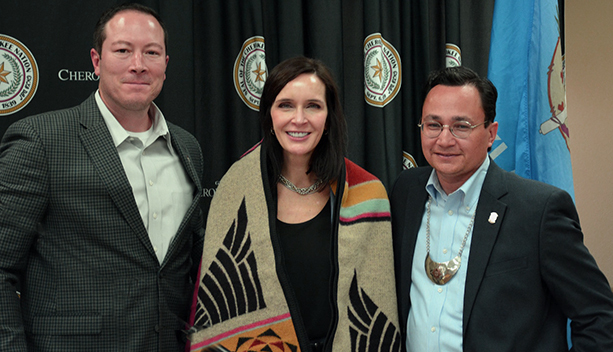 Cherokee Nation Tribal Councilor Bryan Warner, left, and Cherokee Nation Secretary of State Chuck Hoskin Jr., right, present Oklahoma Deputy Attorney General Dara Derryberry a special Pendleton blanket in recognition of the state's effort in helping achieve the removal of 10,000 tons of nuclear waste from Sequoyah County. “This is my home and home to 14,000 other Cherokee Nation citizens. It is deeply gratifying that we were able to protect our families and future generations by stepping up when we were needed,” said Cherokee Nation Tribal Councilor Bryan Warner of Sequoyah County. District 5 Tribal Councilor E.O. Smith of Vian, who serves Gore, said all the constituents who called him over the years distressed about the plant can now rest easier. 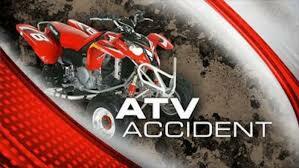 A Sallisaw man is listed in stable condition after an ATV crash that left another man dead Friday. The Oklahoma Highway Patrol (OHP) reported Brason T. Calloway, 28, of Sallisaw suffered trunk and head injuries, and was in McAlester Hospital. The OHP reported the ATV crash occurred at about 1 a.m. Friday on county road Watson Creek, 15.1 miles east and 10.3 miles south of Clayton in Pushmataha County. Justin P. Cowan, 32, of Tulsa was reported to be driving a 2016 Polaris RZRXP at a high rate of speed and lost control. The ATV departed the road to the right and rolled three-quarters of a time. Cowan was transported by OHP to Pushmataha County Hospital in Antlers with internal trunk injuries, and was listed in good condition. A second passenger, Curtis D. Holmes, 29, of Jenks was transported by Pushmataha County EMS to McAlester Hospital with head and trunk internal injuries, and was listed in stable condition. The OHP reported a third passenger, Aaron J. Smith, 32, of Jenks, died at the scene with head and internal and external injuries. He was transported to Burkhart Funeral Home in Antlers, and a medical investigator was notified. The OHP reported the cause of the crash was driving under the influence and unsafe speed. The Holiday Express Train will roll into town next week and we’ve got all the information you need to know to tour the train. Kansas City Southern’s 18th annual Holiday Express train includes a stop in Sallisaw – the only stop in the state of Oklahoma. The Holiday Express Christmas train rolls into town at 4 p.m. next Thursday, Dec. 6, and will be stopped at West Port Arthur Place. While the event is free and open to the public, tickets will be available at any of the bank locations in Sallisaw for Arvest, Armstrong Bank, Firstar Bank and National Bank of Sallisaw, at Dr. Aubrey Henshaw’s Aesthetic Dental Institute, at Dr. Chris Orendorff’s Premier Primary Care office, at the chamber office and also at the Mix 105.1. Since KCS expects close to 4,000 visitors, chamber officials are encouraging everyone to get a ticket and honor the time slot your ticket says to arrive. Parking will be available in the west Port Arthur train yard, at the Old Sallisaw middle school, the nearby Sallisaw soccer fields and the Apostolic Faith Church. Members of the fire department will assist in parking cars. Train officials will stay as long as needed so that everyone in line gets to tour the train. 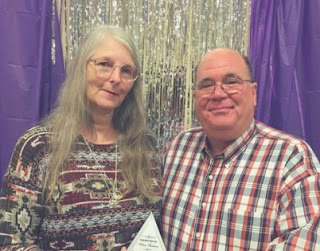 A few years ago, Jeff and Helen Stemmer of Sallisaw had no idea they would be volunteering as child advocates. But an episode of “Dr. Phil” piqued their interests about the opportunity to volunteer for CASA, or Court Appointed Special Advocates. Married for 31 years and being small business owners, the Stemmers felt like they should wait until their youngest daughter was out of school; but they felt God’s call. "It felt as though God was telling us not to wait," said Helen, "and so we signed up together to begin the very next CASA training." The couple completed training in October 2015 and each received their first case. Since that time, the Stemmers have served on a total of eight cases acting as the voices for children in need. They both were surprised by the number of children in need of help, and the children with whom they have been involved have certainly impacted their lives. They say the most rewarding aspect of being a CASA volunteer is seeing positive results in the lives of the children and being able to continue the relationship with the children after the cases are closed. CASA is looking for more volunteers, who, like the Stemmers, could be the change for a child in need. For more information about becoming a CASA volunteer, call the Sequoyah County office at (918) 686-8199 or visit www.casaok.org for an online application. November Chamber of Commerce Meeting. A new support arm for area businesses who fall victim to white collar crime or business fraud will launch after the first of the year, according to District 27 District Attorney Jack Thorp. Thorp told members of the Sallisaw Chamber of Commerce during its monthly membership meeting Wednesday that they hope to launch the Business and Merchant Support Division as part of the district attorney’s office. Assistant District Attorney Jordan Pace, who works out of the Sallisaw District 27 office, will be over the new division. He said the division will target crimes against businesses. Pace explained that the division will have options in order to be able to help right the businesses that have been wronged. For example, if $4,000 worth of equipment is stolen from a business, and the convicted criminal is sentenced to five years in jail, the Business and Merchant Support Division will help streamline the process in order to get restitution to the business as quickly as possible. 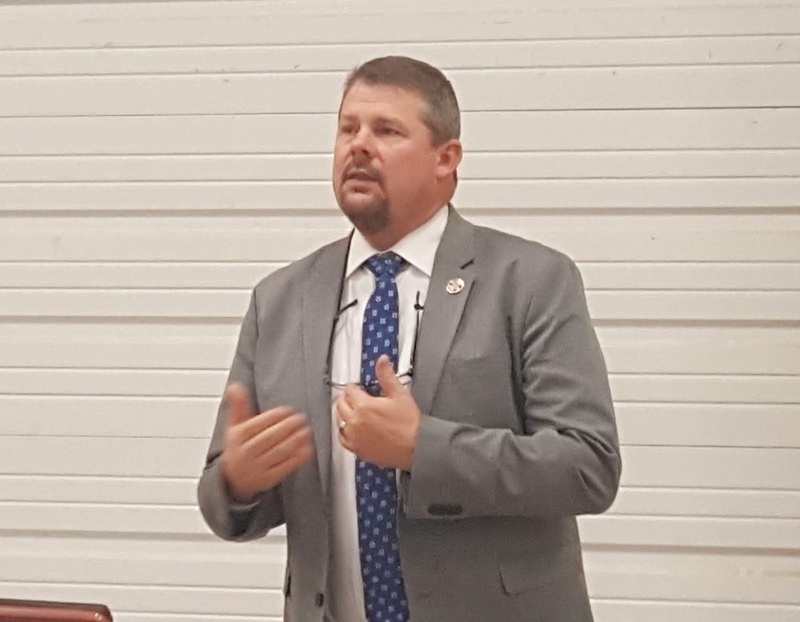 Thorp said in addition to crimes against businesses, construction fraud and other business fraud directed at individuals will also be handled within the division. “If we can help victims by using our authority and act as a deterrent to these individuals who are unscrupulous, maybe we can stop some of that home fraud, especially the elderly folks who seem to get ripped off at a higher level,” Thorp said. Sallisaw Chamber President Jeff Mayo, left, presents a plaque to Shannon Vann in recognition of being named the Chamber Member of the Month during its November membership meeting. State Farm Insurance Agent Shannon Vann was named the Chamber Member of the Month Wednesday during the monthly membership meeting of the Sallisaw Chamber of Commerce. 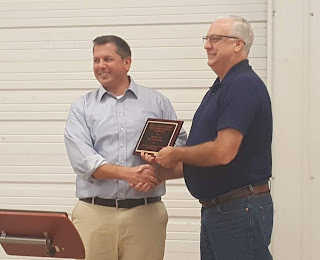 Following a meal catered by Black Diamond BBQ and Mayor Ernie Martens, Vann was recognized for his contributions to the chamber and the Sallisaw community. A 1986 Sallisaw graduate, Vann went to work for State Farm Insurance in 1991 as a claims representative in Lawton, but returned home to Sallisaw in 1997 to take over his dad’s agency after his father, Ken Vann, retired after being an agent for 30 years. He is a member of the Sallisaw Lions Club and the Sallisaw Chamber of Commerce, for which he served as president for one term. He also served as Sallisaw mayor from April 2002 to April 2014, and currently serves as Ward 4 city commissioner. Vann and his wife, Cheryl, have three children, Nathan, Riley and Marissa. In other business, Chamber President Jeff Mayo discussed the success of the chamber fundraiser, Evviva! Marley Abell announced newly-elected chamber board members Justin Haywood, Jaime Henson, Steve O’Neal and Rhonda Merrill, all of whom will begin their terms in January. For families with children on the autism spectrum or other sensory issues, the holiday season can be overwhelming. The long lines to get just a few seconds with Santa can be frustrating for a child with autism and their family. 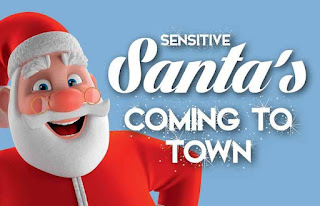 Sensitive Santa is an alternative to those long lines and hotbeds for meltdowns. The Pervasive Parenting Center will host its seventh annual Sensitive Santa, an event that’s a great way for children with disabilities and sensory issues to enjoy the holiday season, according to Kodey Toney, PPC director. Children attending Sensitive Santa can enjoy a quiet evening with the soft-spoken Santa, unlike the jolly, boisterous soul seen at the mall. Sensitive Santa will not touch the children unless they come up to him; and they don’t have to sit in his lap if they don’t want to. The children are treated to milk and cookies while they wait; there are games and activities and storytelling. Sensitive Santa will make a stop at Carl Albert State College in Sallisaw on Thursday, Dec. 6. He will be at Kibois Community Action in Stigler on Tuesday, Dec. 11, and Carl Albert State College in Poteau on Thursday, Dec. 13. Events begin at 6 p.m. nightly; interactions are held by appointment only to help with crowding. Sensitive Santa is open to all children with disabilities, not just those on the spectrum. Toney said they do ask families not to bring siblings; the event is only for children with disabilities. For information or to make an appointment, call 918-647-1255 or email ktoney@pervasiveparentingcenter.org or visit the Pervasive Parenting Center Facebook page. More accidents happen around the holidays than any other time of the year. 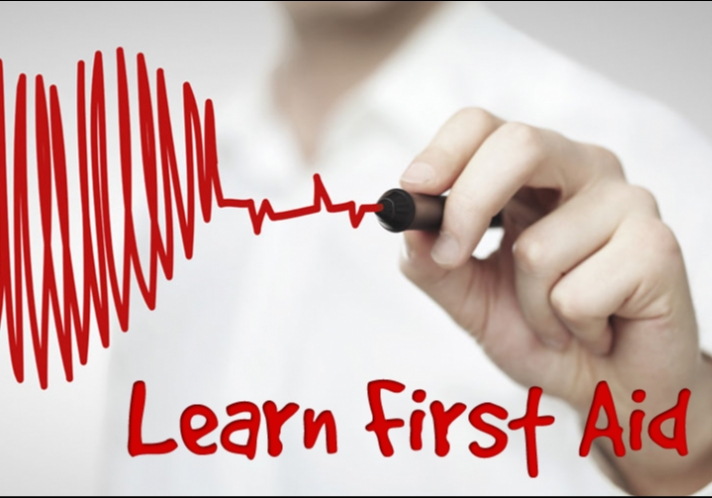 Be prepared for the unexpected by attending a first aid training workshop at 4 p.m. Tuesday, Dec. 4, at the Stanley Tubbs Memorial Library, 101 E. Cherokee St. in downtown Sallisaw. 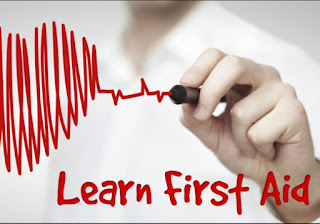 Come learn how to save a life until help can arrive after an accident occurs. This workshop is ideal for parents, babysitters, coaches, construction workers, bikers, teachers, store clerks, woodworkers and especially Christmas light installers this time of year. Participants will learn choking prevention, basic CPR, but not for certification, and bandaging skills from Mark Rutherford with the Sallisaw Police Department. The class is free and is for anyone over the age of 13. One local church invites guests to step back in time and discover the greatest miracle to ever happen. Oak Ridge Assembly of God will host its seventh annual “The Gift,” a free drive-thru live nativity this weekend. Guests may drop by the church, at 2875 S. Kerr Blvd. 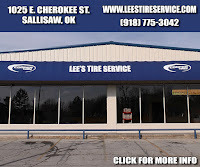 in Sallisaw, from 6:30-8:30 p.m. Friday, Nov. 30, Saturday, Dec. 1 or Sunday, Dec. 2. Nathan Lowrimore, who oversees the production along with his wife, Amber, said the congregation just wants to remind area residents that “from the birth to the grave, Jesus came to save.” And that’s what guests will experience at the drive-thru nativity. Lowrimore explained that guests will stay in the warmth and comfort of their own vehicles as they pull into the church. They will enter the gates of Jerusalem and find Mary and Joseph as they try to find a warm place for her to give birth. They follow the couple through 15 different scenes, complete with live animals of donkeys, sheep and chickens. There are even soldiers on horseback the guests will encounter. For guests who have attended the live nativity before, Lowrimore said it’s not the same experience as in previous years. “The story is the same, but we’ve added and updated scenes,” Lowrimore said. More than 760 attended last year’s performances; admission is free, but donations will be accepted. Hot chocolate and cookies will be served. Candidates for the Board of Education in Sequoyah County school districts and The City of Sallisaw will file their Declarations of Candidacy beginning at 8 a.m. on Monday, December 3rd, and continuing Tuesday and Wednesday, Sequoyah County Election Board Secretary Cindy Osborn said today. Osborn said the official filing period ends at 5 p.m. on Wednesday, December 5th. All candidate filings will occur at the Sequoyah County Election Board office, 110 E Creek St, in Sallisaw, Osborn said. The Board of Education positions at stake will be filled at the Board of Education Primary Election scheduled February 12th, 2019 and the Board of Education General Election on Tuesday, April 12th, 2019. If only two candidates file, the position will be filled at the General Election. If more than two candidates file, a Primary Election will be held. If no candidate receives more than 50 percent of the total votes cast in the Primary Election, the two candidates receiving the highest number of votes will meet in the General Election. For more information, contact the Sequoyah County Election Board at 918-775-2614.
inside Lee Creek Tavern at Cherokee Casino & Hotel Roland. The Bellamy Brothers bring “Let Your Love Flow” and other hits back to Lee Creek Tavern inside Cherokee Casino & Hotel Roland on Dec. 14. The free concert begins at 8 p.m.
Howard and David Bellamy began their career at a young age by singing and writing at their Florida home. In 1968, the brothers landed their first gig at the Rattlesnake Roundup in San Antonio, Fla. It was followed by many more shows and playing for artists such as Percy Sledge and Eddie Floyd. The Bellamy Brothers then brought their country rock sound into the Atlantic music world. Their edgy music fit in perfectly with the times and soon brought them a top hit, “Spiders & Snakes.” That hit transitioned them into the LA music scene. The Brothers were hooked, releasing “Let Your Love Flow,” a No. 1 single on the Billboard Hot 100 that launched to international fans in 1976. Success was followed by success, with their quick release of another top hit, “If I Said You Had A Beautiful Body (Would You Hold It Against Me),” charting No. 1 on the US Country Charts. The duo charted 14 No. 1 hits and earned platinum and gold records with “Dancing Cowboys,” “Sugar Daddy,” “Redneck Girl,” “Reggae Cowboy” and numerous others. The Bellamy Brothers are working on a new album, “40 Years,” which celebrates 20 of their biggest hits and 20 written songs for a two-disc anniversary collection album. 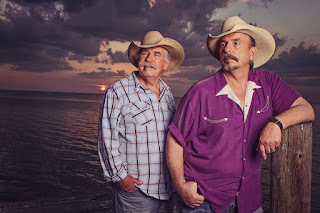 For more information on the Bellamy Brothers, visit www.bellamybrothers.com. 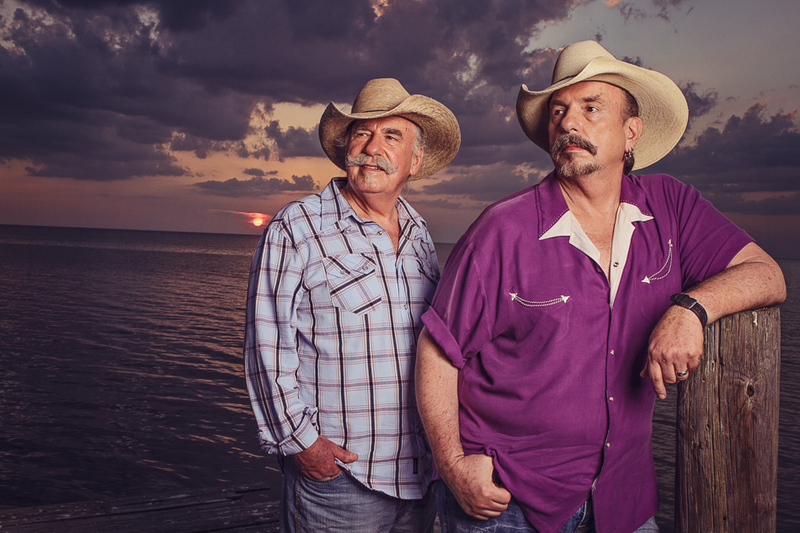 The brother duo the Bellamy Brothers to perform a free show on Dec. 14 inside Lee Creek Tavern at Cherokee Casino & Hotel Roland. Dwight Mission Camp and Conference Center will host a couple of Nights at Dwight this holiday season, allowing guests to enjoy a fabulous dinner feast and musical entertainment. Center Director Leigh Woodruff said the Night at Dwight is a perfect opportunity to bring your family or office for a fun evening together for Christmas. The menu includes Ham and Turkey with Gravy, Yams and Cranberry Stuffing, Green Bean Casserole and Brussel Sprouts, assorted pies and beverages. The Cherokee Adult Choir will sing Christmas hymns and other songs for everyone to enjoy from 6-8 p.m. Dec. 15. On Dec. 16, from 6-8 p.m., The Calvin Street Band will perform fun seasonal music for the evening’s entertainment. Tickets are $25 each, or $125 for a table of six. Guests will get 50 percent off any lodging for the night and a $10 brunch the following morning; buy your tickets for dinner then register for your lodging and brunch. Call or email Leigh for ticket sales at (918) 775-2018 or leigh@dwightmission.org. Dwight Mission Camp and Conference Center is located at 100995 South 4590 Road near Vian. From the left, Cherokee Nation Tribal Youth Councilor Camerin James, Jr. Miss Cherokee Kaitlyn Pinkerton, Little Cherokee Ambassador Maysi Fields and Miss Cherokee Whitney Roach select ornaments from the Cherokee Nation Angel Project tree. Nearly 2,000 angels are ready to be adopted as part of the 2018 Cherokee Nation Angel Project, which kicked off Tuesday. Each year, the project provides clothing, toys and other holiday needs to Cherokee children across the tribe’s 14-county area. Deputy Chief S. Joe Crittenden, Tribal Council Speaker Joe Byrd and Tribal Councilor Janees Taylor were joined by the Cherokee National Youth Choir, Miss Cherokee Whitney Roach, Junior Miss Cherokee Kaitlyn Pinkerton and Little Cherokee Ambassadors to kick off the program at the W.W. Keeler Tribal Complex in Tahlequah. 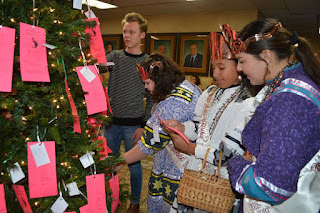 Each ornament on the tree represents a Cherokee child in the community. The Cherokee Nation Angel Project could mean the difference in whether these children have presents to open for Christmas, according to Cherokee Nation Indian Child Welfare Executive Director Nikki Baker-Limore. In addition to Christmas toys, the project often provides families with items like bedding and winter clothing. You can request an angel by emailing angel-project@cherokee.orgor select an angel in person at the W.W. Keeler Tribal Complex in Tahlequah. All donations should be returned unwrapped to the Cherokee First area inside the W.W. Keeler Tribal Complex by Dec. 5. Tax-free monetary donations to help buy gifts for the Angel Project children can be made to the Cherokee Nation at www.cherokee.org. Look for the “Giving to the Cherokee Nation” box at the bottom of the home page. The Cherokee Nation also has a number of elder angels for adoption through the tribe’s Human Services department. For more information about the Cherokee Nation Angel Project, call 918-458-6900. For more information on adopting an elder angel, call 918-453-5000.